Flameworked Glass and Mixed Media. 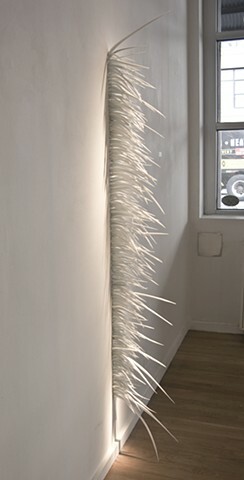 This piece was created using a barrel of milk glass cullet (post-production factory remains). This was the installation view during my show |Reconstructions| at Heller Gallery, NY in March. 2013.